SiteSeer Technologies, creator of SiteSeer Professional, a web-based analytics platform that helps companies make data-driven location decisions, has partnered with Alex Lee, Inc. to improve their site selection for their retail stores. Alex Lee will use SiteSeer with the Sales Forecasting functionality pack, which offers sales cannibalization modeling, predictive modeling, and more. The company plans to augment their site analysis and selection methodologies with SiteSeer’s powerful toolset and take advantage of SiteSeer’s extensive data sources. 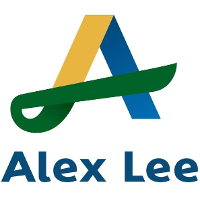 Founded in 1931, Alex Lee is a family-owned and operated company that employs approximately 10,000 people. It serves as the parent company of Merchants Distributors, LLC, which provides full-service, wholesale distribution to supermarkets. In addition, Alex Lee is the parent company of Lowes Foods, which includes more than 80 full-service grocery stores in North Carolina, South Carolina and Virginia, as well as Just Save food stores in North Carolina. Alex Lee, Inc. is based in Hickory, NC.